Manufacturer & Exporter of PHE Gasket for Steel Plant. 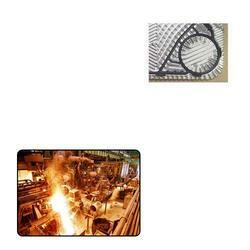 Our product range also comprises of Plate Heat Exchanger Gasket, PHE Gaskets. We are instrumental in offering PHE Gasket for Steel Plant that are appreciated for their plate design, sealing technology and capacity range. The products are acknowledged for their reliability and durability by our patrons. We offer our range at affordable rates. Additionally, we offer plate heat exchangers, and rubber gaskets. The range has high transfer coefficient that determines the direction of flow within the heat exchanger. Looking for PHE Gasket for Steel Plant ?